FORE!!! Roll out for this awesome event supporting the OKC Dream Center at Oak Tree Country Club. Hurry and get your team registered! Also, there are opportunities available for hole sponsorships, hole-in-one sponsorship and more. 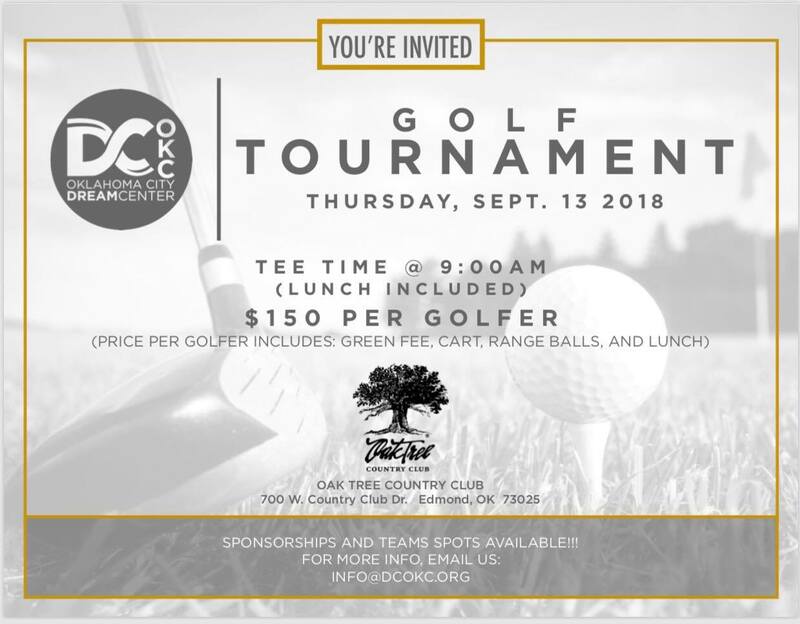 Contact us at info@dcokc.org if you have questions or go to dcokc.org/golftournament to register your team today! The OKC Dream Center is a non-profit organization designed to reach, rescue and restore those in poverty, at risk children and families. We offer day camps during the summer, wrestling programs, food pantry, clothing closet, placement programs and much more.